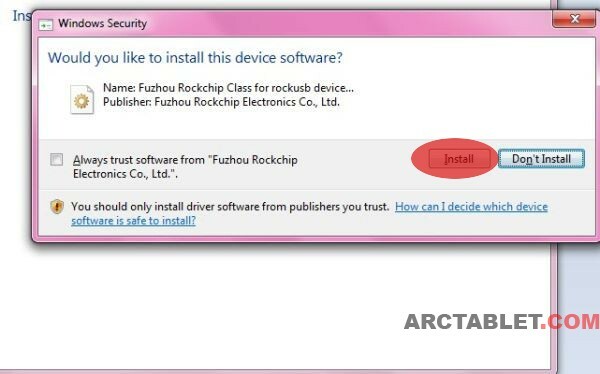 This procedure should help you to flash Arnova G2, Arnova G3 or any tablet based on a Rockchip RK29xx CPU (such as the RK2918) or Rockchip RK30xx (such as the RK3066) using RKBatchTool.exe Rockchip low level flashing tool. 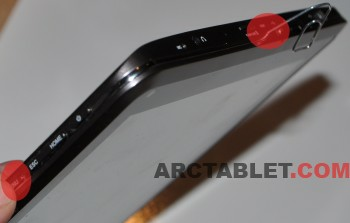 It is especially useful for bricked device that do not boot anymore and can’t use the regular flashing method. 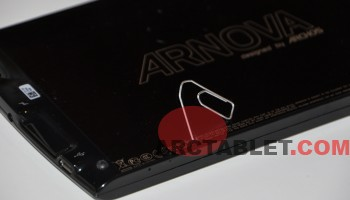 If you have an Archos 7 Home Tablet, an Arnova first generation tablets or a device using the Rockchip RK2818 processor, please use the older Rockchip RK28xx flashing method. 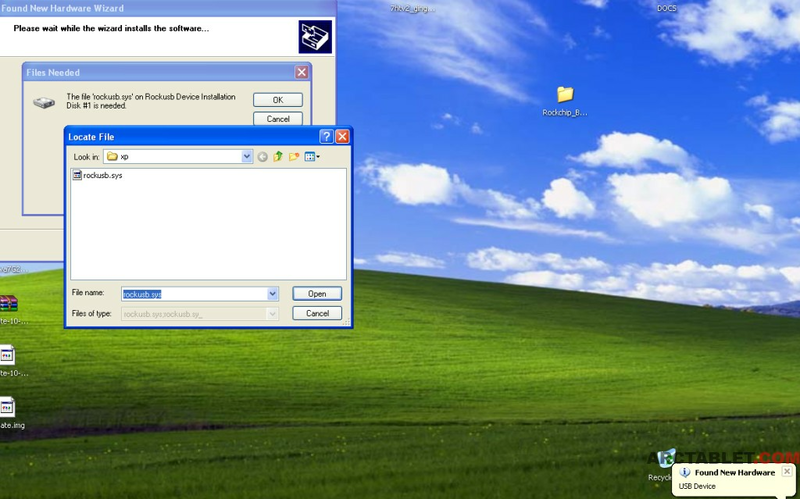 in drivers\32bits folder you will find subdirectories for the following operating systems: (Windows 2000 drivers, Windows XP, Vista and Win7 in 32 bits). 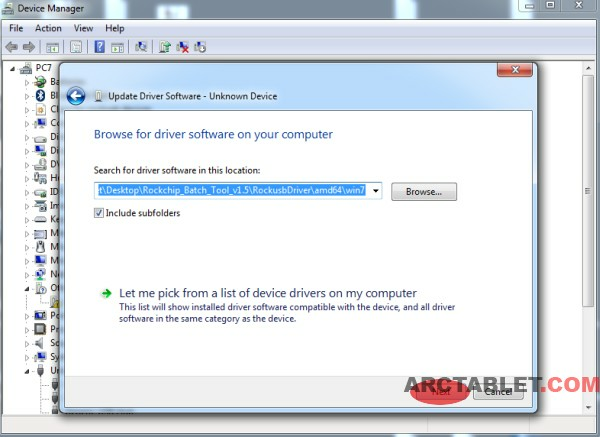 in drivers\64bits you have directories supporting (Windows Vista and Win7). 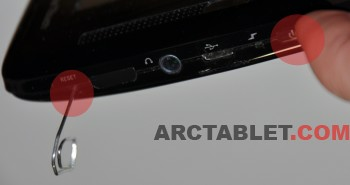 It’s usually safer to use the Restore button rather than Upgrade to make sure the tablet system is properly erased prior to flash. 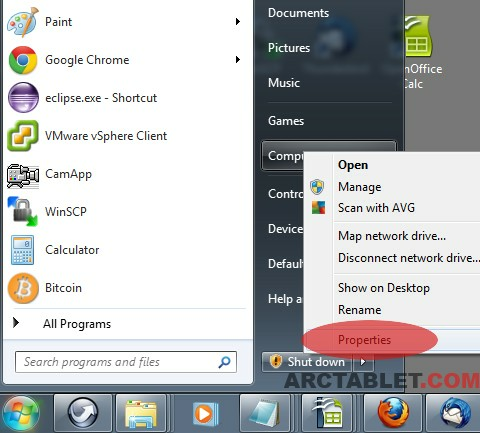 go to ‘Control Panel’ / ‘View Advanced system Settings’, on ‘System Properties‘ window, select the ‘Hardware‘ tab, click on ‘Device Installation Settings‘ button. 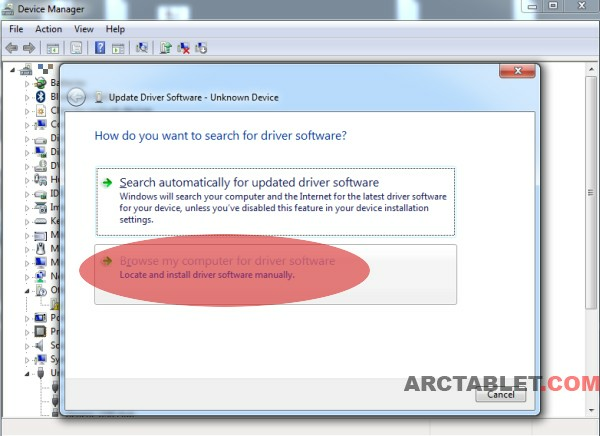 On the “Device Installation Settings” window, choose ‘No, let me choose what to do‘ and ‘Never install driver software from Windows update‘. 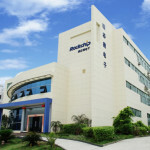 Step B. 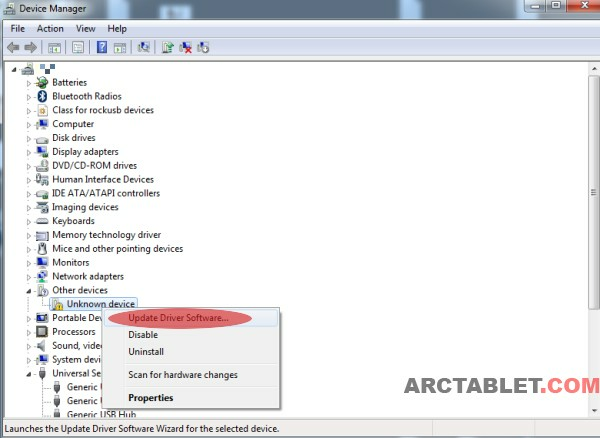 Control Panel window will open, you’ll first note the Windows Edition and System Type on the right side, you’ll need these information later when choosing the driver type. 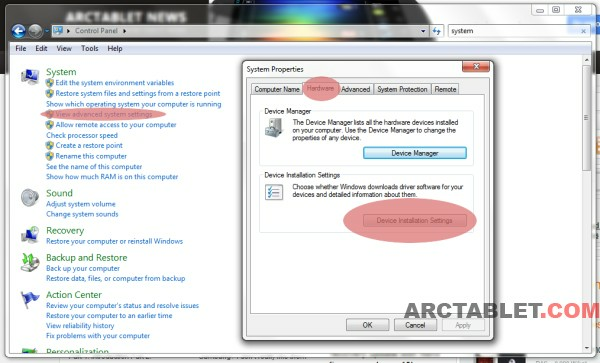 On the left side, you’ll click on the Device Manager link. 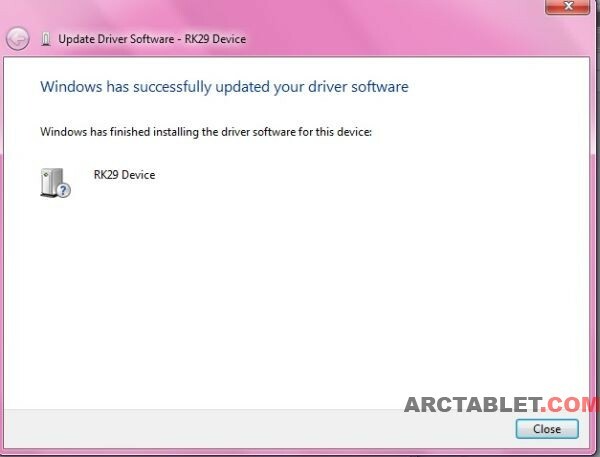 I CAN’T INSTALL THE DRIVER. 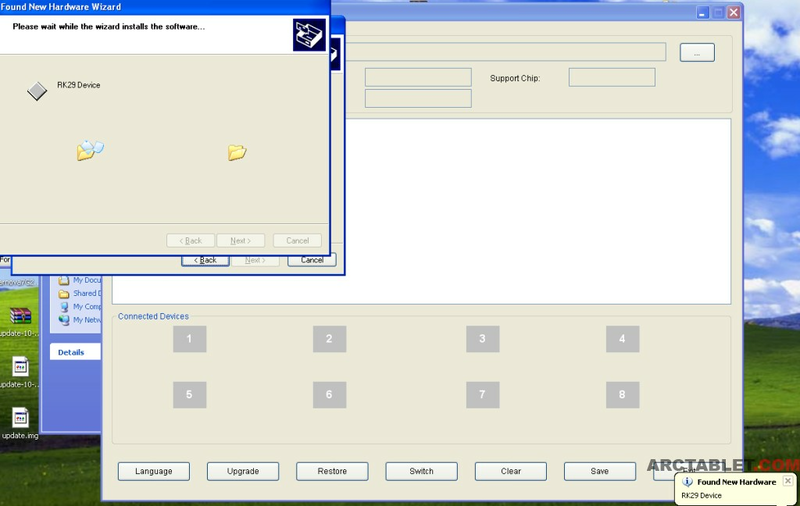 I TRY ON WINDOWS 7, XP, 32 AND 64 BITS, BUT ALWAYS SHOWS IN THE DEVICE MANAGER A DEVICE CALLES M9 BUT WITH A “?” ON IT. 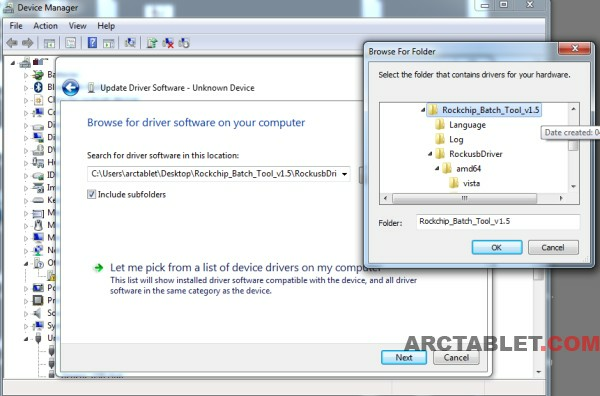 WHEN I BROWSE FOR THE DRIVER THE SPECIFIC FOLDER IT SEEMS AS ISN’T FOUND BECAUSE THE DEVICE IS STILL UNRECOGNIZED. 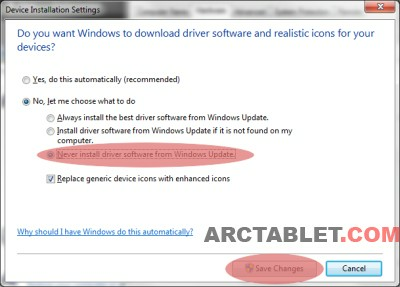 As I expected, the option to install a driver did not show up, only a warning that the device could not be identified. 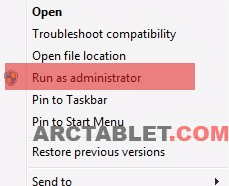 I simply brought up Device Manager and manually installed the driver for the newly discovered “Unknown Device.” Once installed, the green “block” appeared in the flashing tool and I loaded the firmware and used the Restore button to be safe. Once the copy completed, the tablet rebooted, initialized itself, and brought me to the Startup Wizard. I selected to NOT install the third-party apps to save some space on the tablet. Everything seems to work just fine — Play Store updated itself, Chome installed, Google Sync is working, etc. 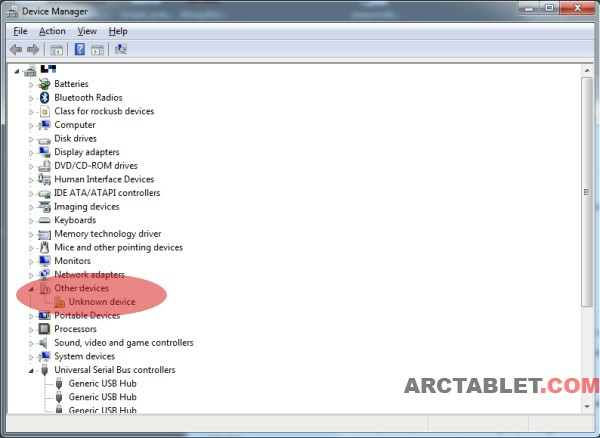 Then, with Win7-64, I had to search the “new device” through Control Panel->System->Device Manager and force the installation of a new driver. 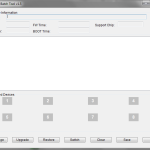 It only worked with the “Restore” function of the Rockchip Batch Tool (not the “Update” function). 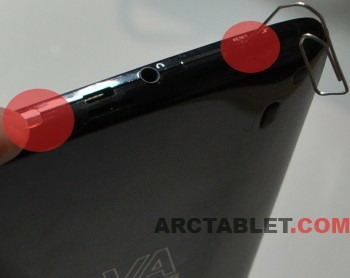 then i start the factory-reset, a menu item in category “options” on the tablet. 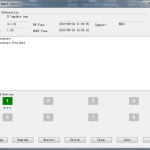 What’s the difference between the “upgrade” & “restore” feature in the RBT?